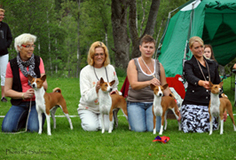 We are Maria and Therese, mother and daughter, who are the proud owners of kennel Shahrans. 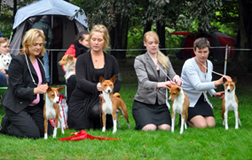 Our first basenji moved in to our home in January 1999 and our first litter was born four years later. 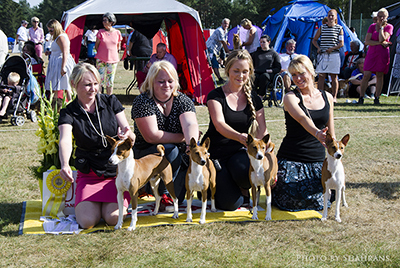 We are very passionate about this lovely breed and look forward to many years to come both living with the breed and breeding new basenjis - striving towards our goal - to breed beautiful basenjis with good temperament and health. 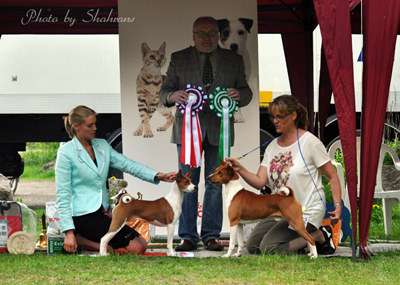 The history of Shahrans is a family thing - our first basenjis Billa and Raffe became foundation stock for Shahrans and from the litter they had together some dogs have affected the basenji population both through our breeding and through other breeders all over the world. It's a proud feeling to see so many lovely and successful dogs come from our Billa and Raffe. Along the way we have also had the opportunity to import a few amazing dogs that already have and hopefully will work very well together with our lines. Love and passion for the breed is what keeps us going and we have many exciting plans for the future!